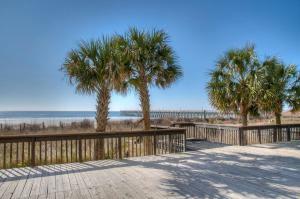 Your family is only steps away from the sandy, wide beaches of North Myrtle Beach, South Carolina when you book your vacation stay at Sea Pointe 906. 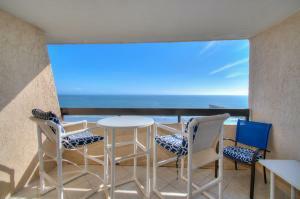 This nicely decorated, one-bedroom, one-bath luxury oceanfront rental condo is on the ninth floor and features a full kitchen, fabulous ocean views and comfortable interiors. 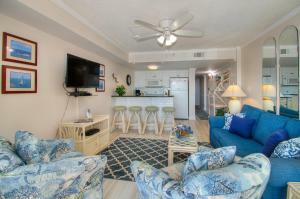 This tastefully decorated rental condo seems to reach outside and pull the blue of the sky indoors to help you feel the ambiance of a coastal vacation even when inside Sea Pointe 906. Located in the Cherry Grove section of North Myrtle Beach, South Carolina, Sea Pointe 906 will provide your family with all the comforts of home as well as many conveniences. 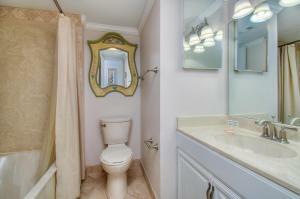 Sea Pointe 906 is a North Myrtle Beach condominium that provides fabulous amenities during your beach vacation. 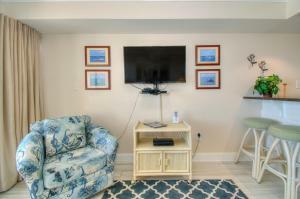 Two TVs are provided in this rental condo and a DVD player is also available, so bring your favorite movies along with you to enjoy during any down time you may encounter. The washing machine and clothes dryer inside Sea Pointe 906 is a convenient amenity that vacationing families appreciate. Opening the sliding glass doors and checking out the private oceanfront balcony will lead you to rising early to enjoy a memorable North Myrtle Beach sunrise. 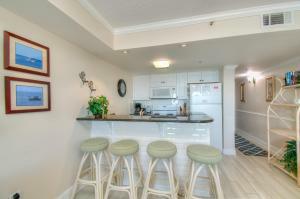 You can also prepare your favorite cocktail in the well-equipped kitchen to enjoy during your afternoon lounge taking in the ample, South Carolina sunshine. Sea Pointe Resort is just a short drive to the most popular vacation attractions and seafood restaurants of North Myrtle Beach, South Carolina. Enjoy live entertainment shows or bring your golf clubs and tackle one of over 85 pristine golf courses in the Myrtle Beach area. 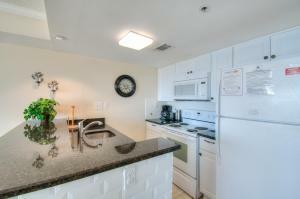 Shopping outlets and water sports are also just minutes from your accommodations at Sea Pointe 906. 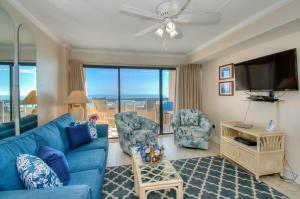 Of course, as with any oceanfront condominium complex, the beach and all it offers your vacation will be right outside the door. 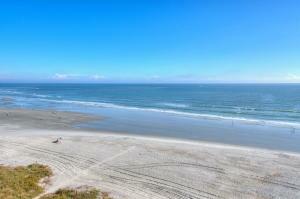 Morning strolls along the sand, perusing the shore for prized seashells is a common pastime in North Myrtle Beach. 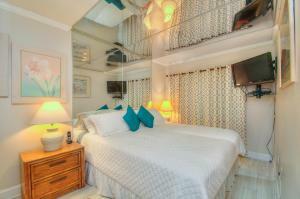 With the beaches of this area being so family friendly, you will never find an inconvenient time to explore the shore. 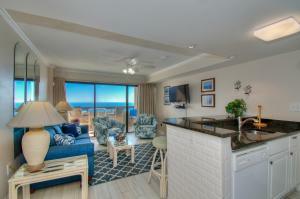 Book Sea Pointe 906 today and discover what all the North Myrtle Beach fuss is about!